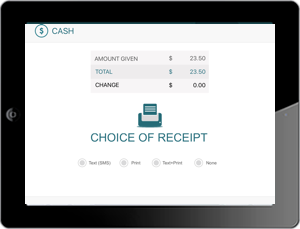 "Awarded Best iPad Point of Sale; Cash Register 2019, 2018, 2017, 2016"
Our point of sale solution is ideal for your salons, retail stores, cafes, quick serve restaurants or full service restaurant. 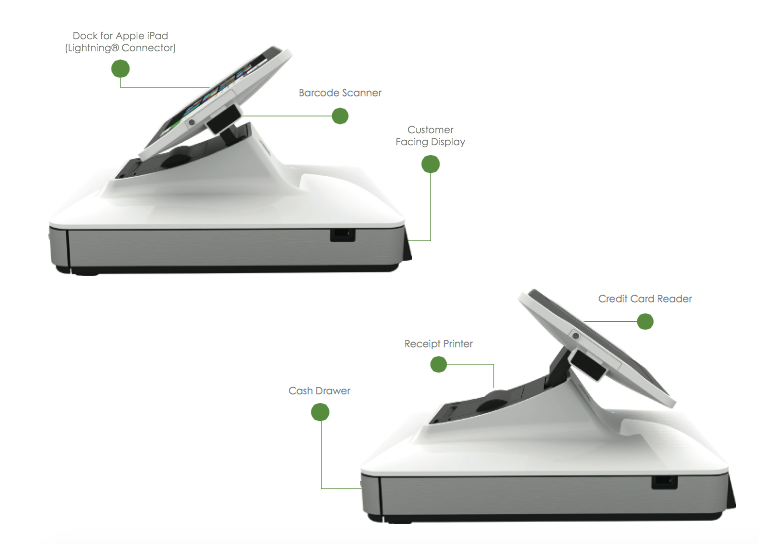 Point of sale is changing, and your iPad combined with our app provides an extremely reliable and convenient solution. The Datio Base Station has a cash drawer, printer, scanner and credit card reader included. Our software is easy to use and has the features you need. 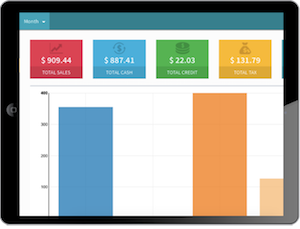 Sales reporting can be viewed from any device. We offer SMS, email and phone support. The Datio Base Station sells for $699*. Try our Retail/QSR App or Restaurant App for free, only pay when you start to use at your business. Monthly software, updates and service is $49/month. No Contract. Special offer. Receive $100 cash back when you process your first $100 with Vantiv by May of 2019. You must be signed up for Datio monthly service to receive the cash back. We support all types of basic retail stores, from clothing, candy, housewares or any other basic retail store. Some of the best features are item color categories, item discounts, discounts, track sales by sales associates, track inventory and many others. Manage large Inventory. Get SMS or email alerts when your stock is low. Use the built-in scanner to scan your items. View reports from any device remotely or when you are in store. Enter price when you scan your item. Prompt for price is our new version of an old fashion PLU (price look up). This feature can be used by a store that might have hundreds or thousands of items and don't want to add each item. Fast Checkout to keep long lines moving fast. Tips on Screen. Flip the screen and let your customers select the Tip, increases Tipping by 60% higher. Track Tips on report to do distribute by employees. 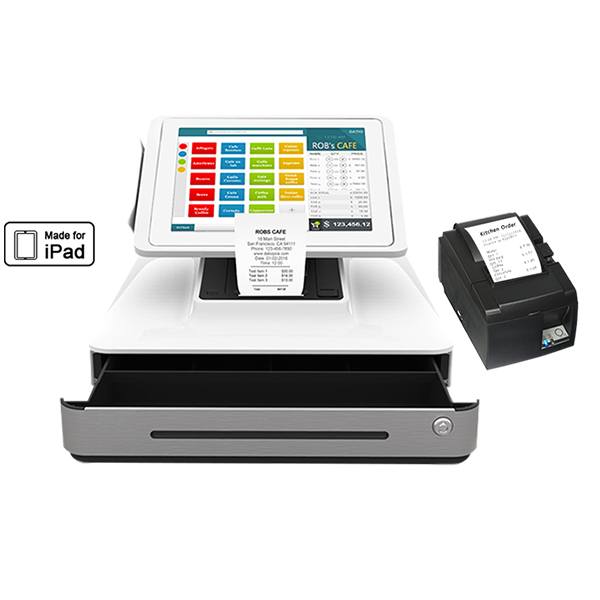 Our point of sale solution is ideal for your cafe, deli or other quick-serve restaurant. You take the order at the counter, print the extra receipt to pass to the kitchen, or use our LAN printer to print the kitchen order directly to the kitchen. 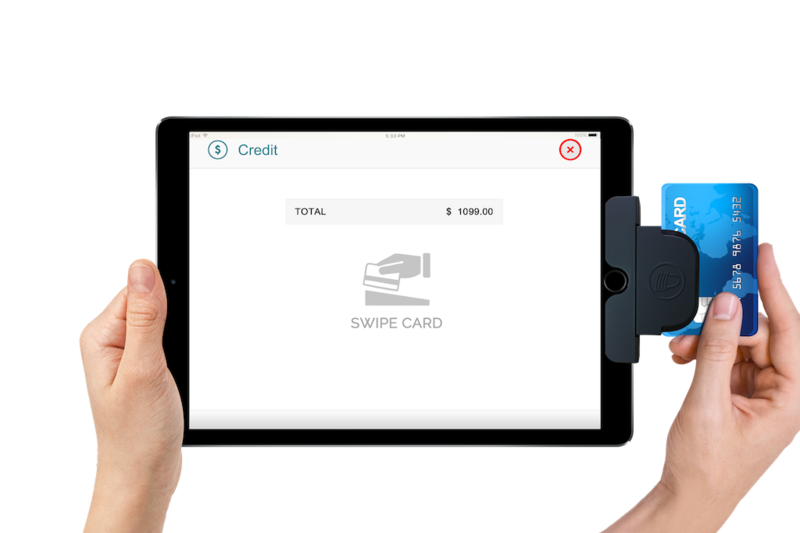 The integrated payments with Tip on screen is reported to increase tips for your store by as much as 50%. Use our Datio Restaurant iPad App from the Apple App store for full service restaurants. You can enter the order print directly to the kitchen from the Datio Base Station or our remote kitchen printer. Save the order, add more items to the order and print the additional order to the kitchen. Print the receipt for the table, swipe the credit card, print the receipts for the customer to add Tip. 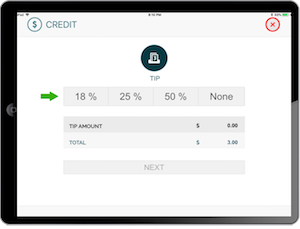 Adjust your transactions for the Tips in real time or complete each night, then close the batch. Don’t spend thousands of dollars on other solutions. Our simple solution is great for your restaurant. We support many hair and nail salons. Track your sales by your stylist (sales associate). You can split sales and tips on one transaction between many stylists. One helpful feature when dad pays for his hair cut and his kids but two different stylist did each person. Set Tips by services and product or just services. Affordable Point of Sale for a simple Pizzeria. Setup your Specialty Pizzas or build a menu of pizzas or let customers customize the toppings. Add your toppings as modifiers on full or half pizza. Add a custom Note to the Kitchen. Print your Order tickets to the Kitchen. Pickup or Delivery - Lookup a customer by Name or Phone number. Track your reports online from any device. 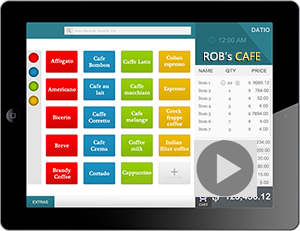 Keep track of whats sold in your restaurant remotely. Food Truck Point of Sale for your mobile needs. Single power cord to connect all your essentials loaded in the Datio base Station. Cash Drawer, Printer, Scanner and Credit Card reader. All powered by a single cable. Track your Sales. View reports from any device remotely or when in store. Accept all forms of Payment, Cash, Credit. Split the bill in Cash and Credit. Our item set up is simple as add item, give it name and amount. Set up inventory with low level notifications. Add modifiers or options to each item. Do items by weight for selling things like frozen yogurt or salad. Set item in a color category for easy searches and reporting. Set up a category like Chips and have the system prompt for price. Access the reports from any mobile device or laptop at https://manage.datiopos.com Pick any time period you need, look at basic sales, sales by items, sales by associates, taxes and tips. You can also view the same reports and dashboard within our POS App. Want to sort your drinks, fresh food and packaged food? Pick a color and easily sort on the home screen to find what you need. Use the color tag to sort on drinks, food or shirts and shoes. Enhance your revenue with creative Tipping. Adjust the default amounts such as 10%, 15%, 20% to your preference. Calculate Tips on services and products or just services. 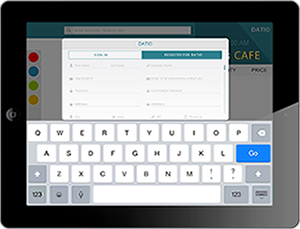 Tip is selected by your customer on the iPad for salons and quicks serve. For restaurants print the customer and merchant receipt for your patrons to add the tip amount. We support tracking your sales via sales associates. Split sales to more than one stylist in your salon for one transaction. Boost your sales and bring in new customers. Gift cards are easy to use and will be loved by your customers. The Datio Base Station simplifies the installation and use. The credit card reader, barcode reader, customer display, receipt printer and cash drawer are all included. There are no complicated cable connections to make and no messy cables on your counter where you are interacting with customers. The base station supports the 9.7” iPads with the lightning (8pin connector). Datio Point of Sale Credit Card Reader is a slim profile card reader that can be attached to an iPad and used with Datio POS software to accept credit cards. 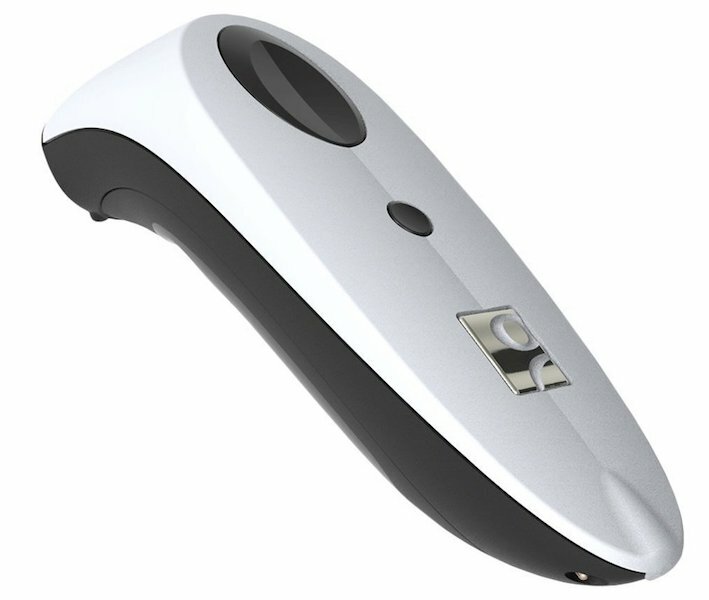 The Datio Reader is portable so it can be used at checkout stations, kiosks, or carried for line busting or roaming sales. 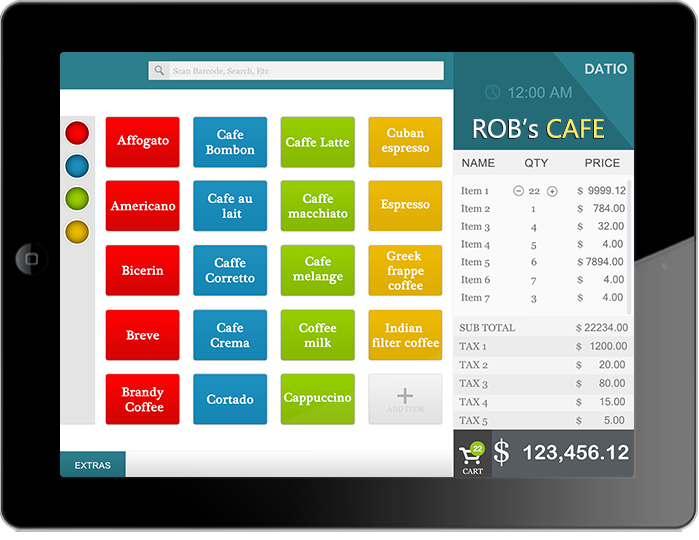 Our software is best in class supporting cafes, delis, order at the counter restaurants and all types of retail shops. Reader is for iPads with 8 pin lightning connector including iPad 4, Air, Air 2 and 9.7"/13" Pro or iPad Mini, iPad not included. 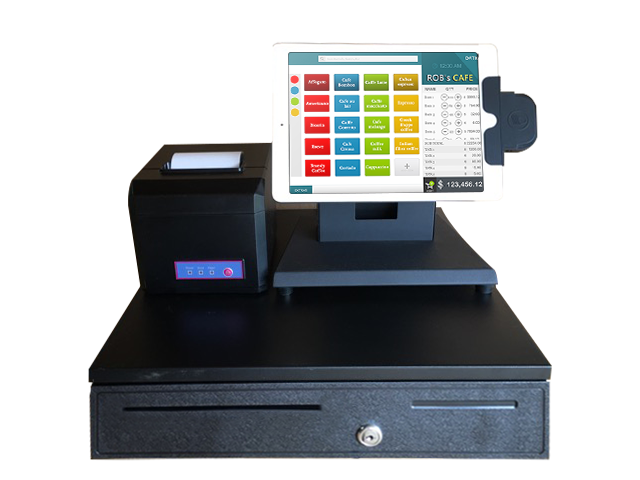 The Datio Point of Sale Cash Register for iPad with Cash Drawer, Receipt Printer, Credit Card Reader and Stand for Datio POS Software is the perfect iPad companion for POS. The credit card reader, receipt printer and cash drawer are all included. Barcode reader is supported through iPad camera. This is the most affordable POS solution. Datio Kitchen Network Printer is an ideal packaged solution for quick serve restaurants and full restaurants. It is easy to use. Datio Point of Sale EMV Chip Card Reader ICMP supports latest payment options of ApplePay, Android Pay, and EMV Chip Cards. Try for free, pay only when you are ready to use for your business. Unlimited number of Sales Associate. Phone, SMS or Email based Tech Support. Supports unlimited number of Terminals in a store.